Are Your Child's Teeth Growing Properly? As parents you want what is best for your child when it comes to healthcare but you also want to know if all the surgeries available are necessary. While dentists and doctors can argue for and against certain procedures there are times when you will have to opt for surgeries and treatments in order for your child's teeth to grow properly. When parents hear the word crown they are usually taken aback thinking such treatments are for people much older than their child. However, if a cavity is not caught early, the decay can ruin enough of your child's tooth structure that there is not enough left to support a filling. 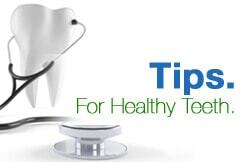 In these situations, a stainless steel crown can save the tooth and prevent the risk of pain and infection. Pediatric dentists will recommend stainless steel crowns if your child has a broken tooth that cannot be repaired with normal fillings; your child has badly decayed teeth and very little of the tooth structure remains; and to prevent breakage of a tooth when part of a nerve has been removed. If a crown is not placed on a decaying tooth, the problem will only get worse and in some cases may require the removal of the entire tooth. Your child will also experience continuous pain and be at risk for infections that can lead to serious health risks. Contact CT Pediatric Dentistry today to learn more about crowns for children and to schedule an appointment that will allow us to determine the severity of the situation and what we recommend for treating the tooth.